At the closing of the year, as folks gathered around loved ones to sing carols and roast chestnuts, Enviva geared up to export more precious Southern Forests to burn in European smokestacks. On December 22, 2016, Enviva’s Wilmington Export Terminal sent their first shipment of wood pellets abroad. This news has been portrayed as purely a success for the environment, economy, and people of the region. 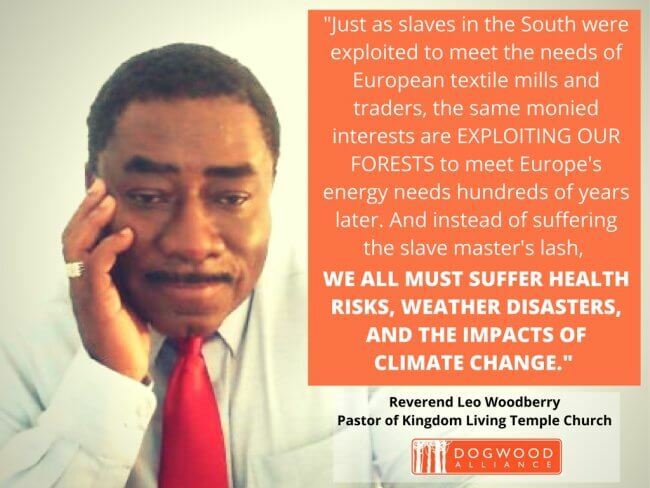 Southerners to Enviva: Stop Exporting our forests! 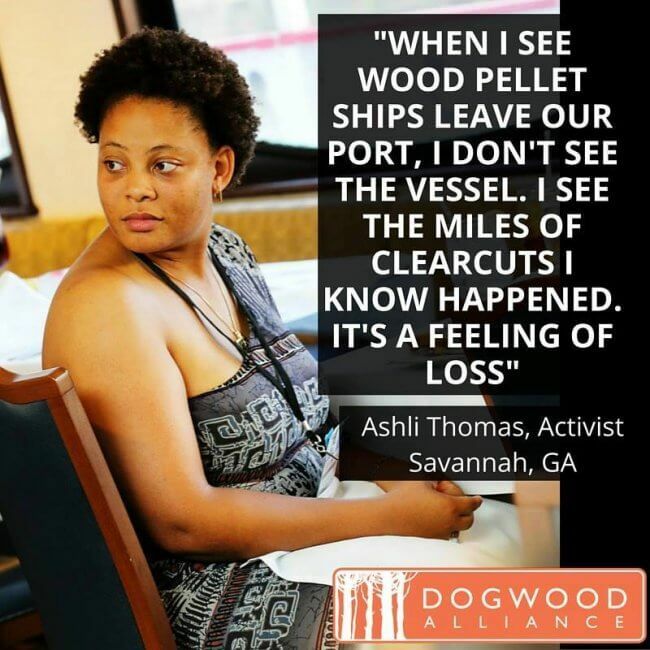 One Enviva shipload is nearly 850 acres of chopped down Southern forests. Those acres include critical habitat for species like migratory birds such as ducks, whitetail deer, rabbit, and diverse amphibian species. 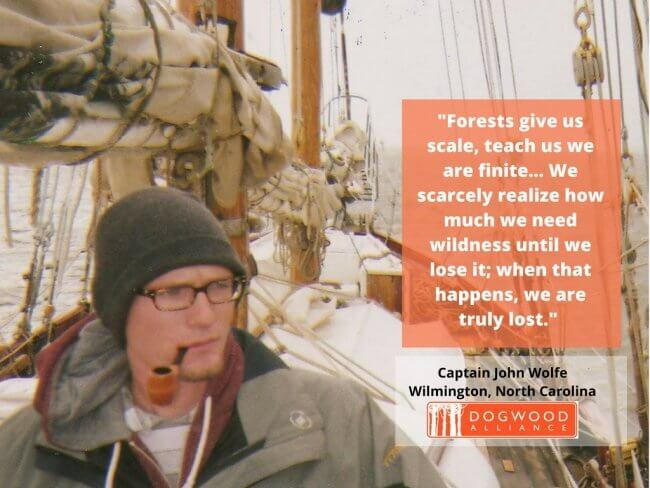 Without those forests standing, the species cannot live there. Without those forests standing, Southern outdoorsmen have less recreation areas where they can hunt, fish, explore, and hike. The American Heart Association warns, “Short-term exposure to small particulate matter can trigger cardiovascular-disease, mortality, and illness; long-term exposure reduces life expectancy up to a few years.” Churning Southern forests into wood pellets to be exported turns transforms from the lungs of the earth into breathing hazards. 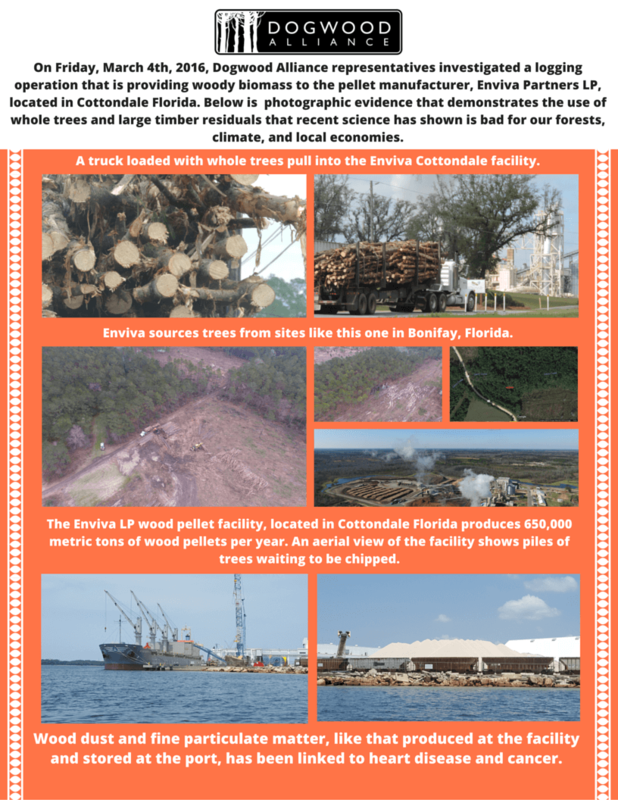 Shockingly, Enviva claims that the wood pellets shipped from Wilmington are “made from low-grade wood fiber, wood with size defects, disease or pest-infestation that would render it unusable by lumber industries.” Dogwood Alliance has documented Enviva clear-cutting whole trees and wetlands on several occasions– especially in this region of the South. Exporting Southern Forests to be used as fuel in European power stations takes away one of our region’s best defenses against natural disasters. Whether it’s hurricanes, flooding, storm surges, or drought, forests play a vital role in the protection of lives and livelihoods. Given that continued unchecked logging and fossil fuel emissions are to blame for 2 out of the 5 world’s most expensive natural disasters in 2016, it’s time that Enviva stop this greenwashing. The US South is no stranger to long-term economic exploitation of our natural resources. 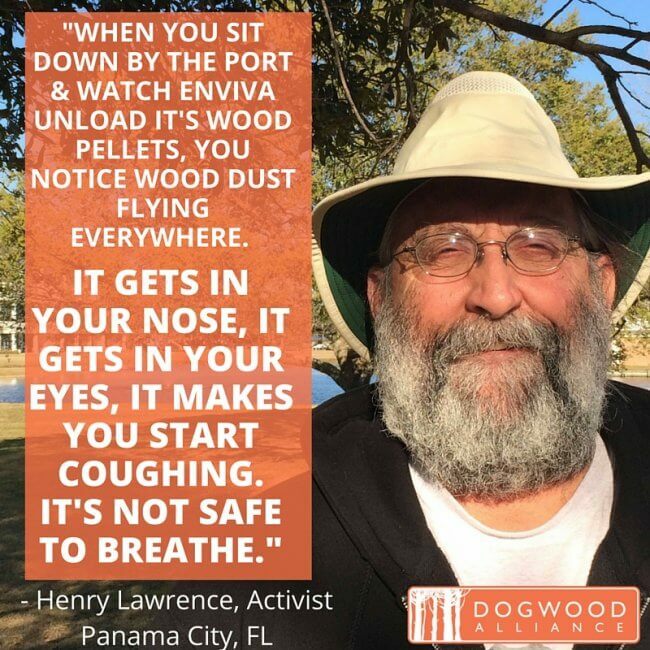 No matter what Enviva or the biomass industry report as a “positive” about the new export terminal, Dogwood Alliance stands by Southerners who believe that biomass harms their communities, the environment, public health, and the climate. 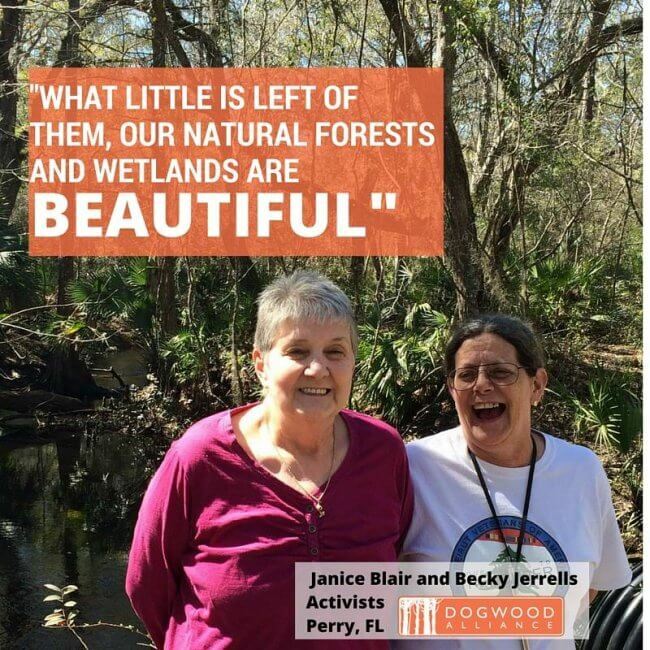 We will continue to do all we can to protect the gems that are our beautiful Southern Forests. Stand with Southerners and say NO to Enviva.